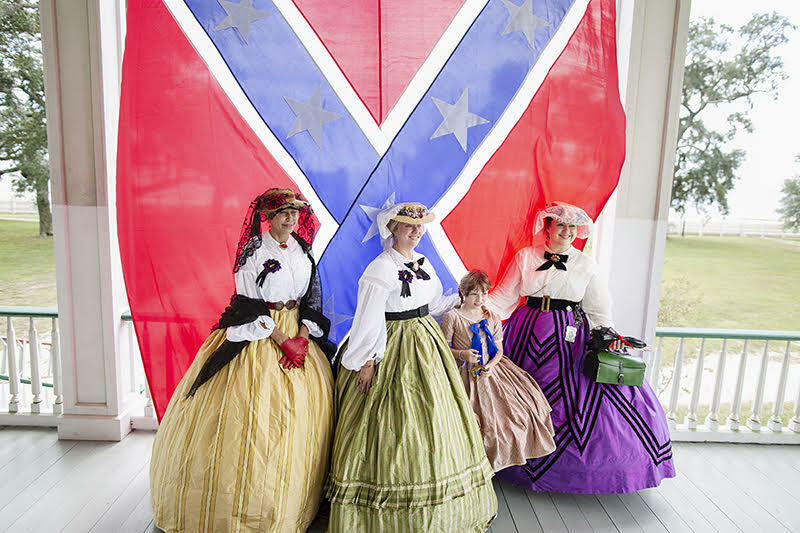 Visitors to Beauvoir, The Jefferson Davis Home and Presidential Library in Biloxi, Mississippi, pose in front of a Confederate flag hung from the historic cottage where Davis lived after the Civil War. Beauvoir has received over $21.7 million in government aid in recent years. Source: Tax and budget documents, plus interviews with state and federal officials, obtained by The Investigative Fund. Amounts cover the most recent available 10 years. Local, state and federal governments have directed at least $40 million in taxpayer dollars to Confederate memorial sites and Confederate heritage groups over the past decade. At Beauvoir, the Jefferson Davis Home and Presidential Library, which received more than $21 million in taxpayer funds in recent years, a tour guide claimed "slavery was good and bad." 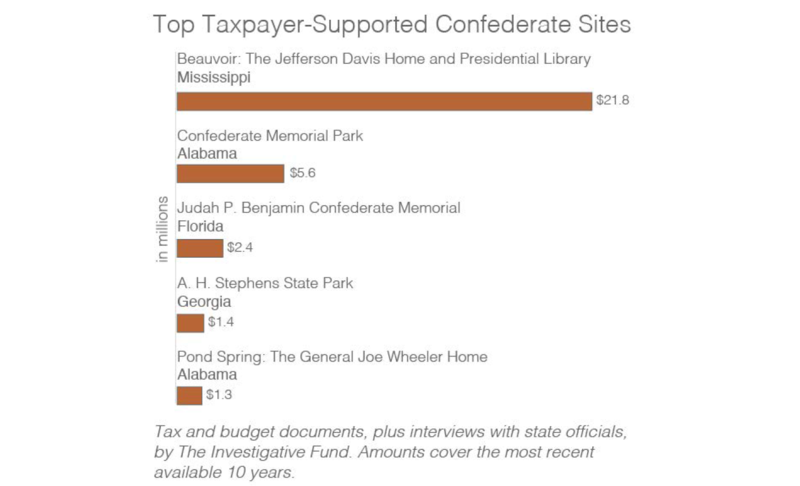 Confederate memorials and cemeteries, created by Jim Crow governments, have in some cases received taxpayer funding for generations. Taxpayers have invested in multiple sites that served as shrines for white supremacists, including Stone Mountain in Georgia, the Robert E. Lee statue in Charlottesville, Virginia, and a Confederate museum Dylann Roof visited before murdering nine in Charleston, South Carolina. Monument supporters say critics of Confederate sites are a product of contemporary "political correctness," but African American leaders have been resisting these memorials, and public spending on them, for generations. 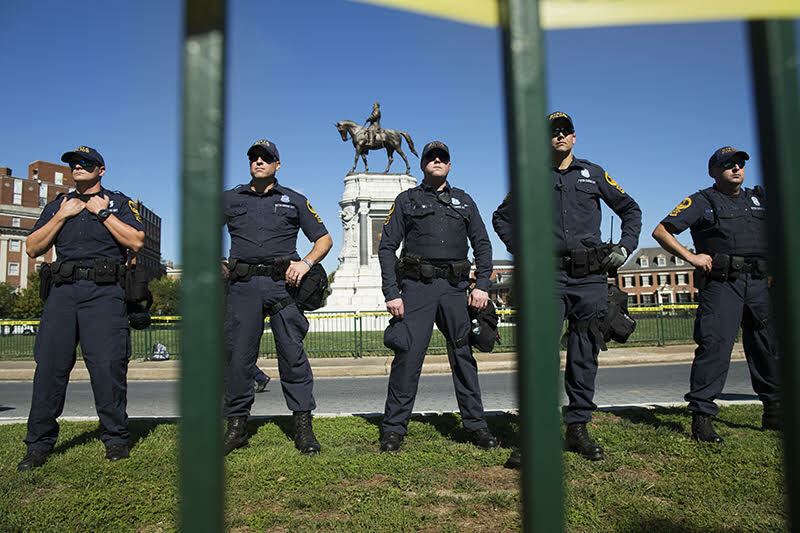 Virginia State Police protect the Robert E. Lee Statue in Richmond, Virginia, during protests in September 2018. 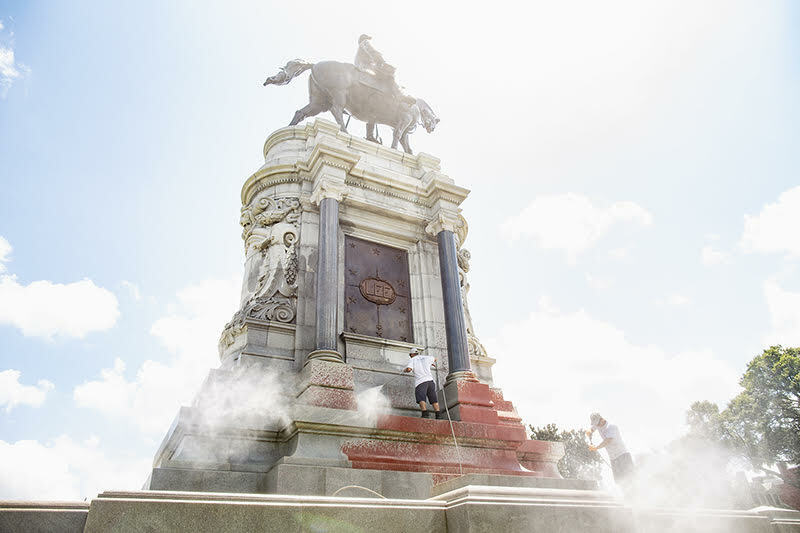 In the past decade, Virginia has spent over $174,000 to maintain the Lee statue. 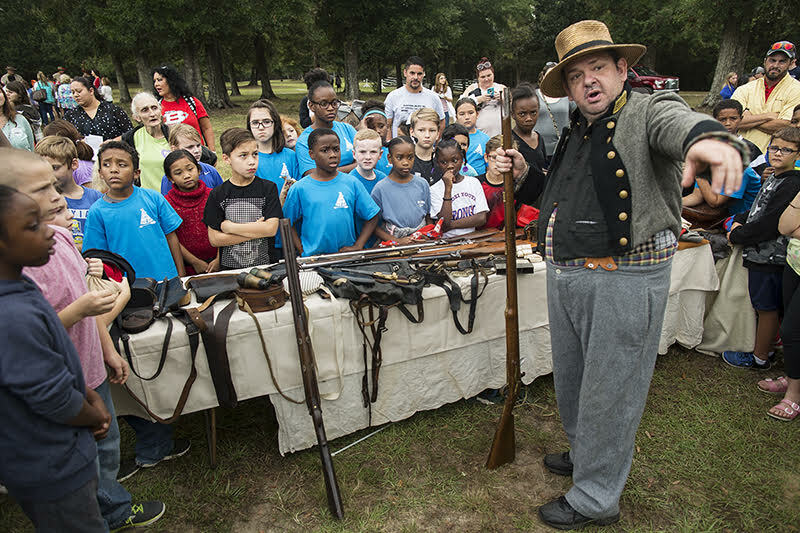 Local public school students listen to a presentation of Civil War-era weapons and equipment during a field trip to Beauvoir in October 2017. 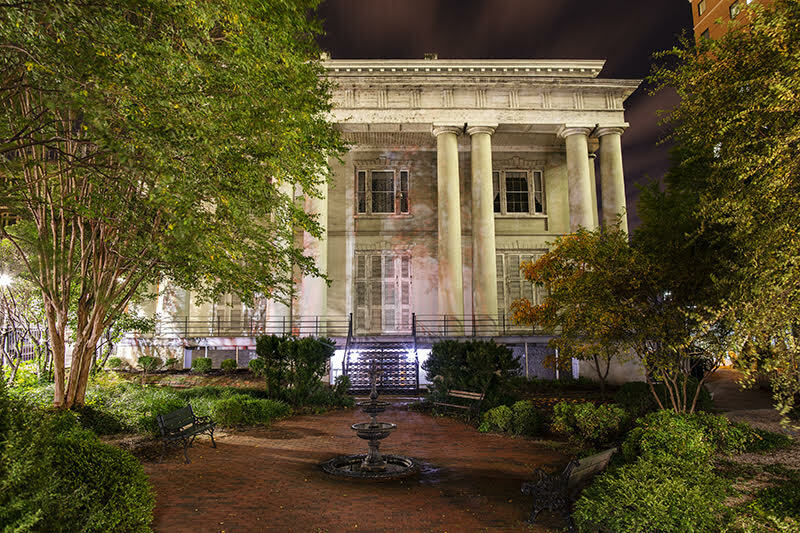 The White House of the Confederacy in Richmond, Virginia, has received at least $830,000 in government support over the past decade. Historically, the installation of Confederate monuments went hand in hand with the disenfranchisement of black people. 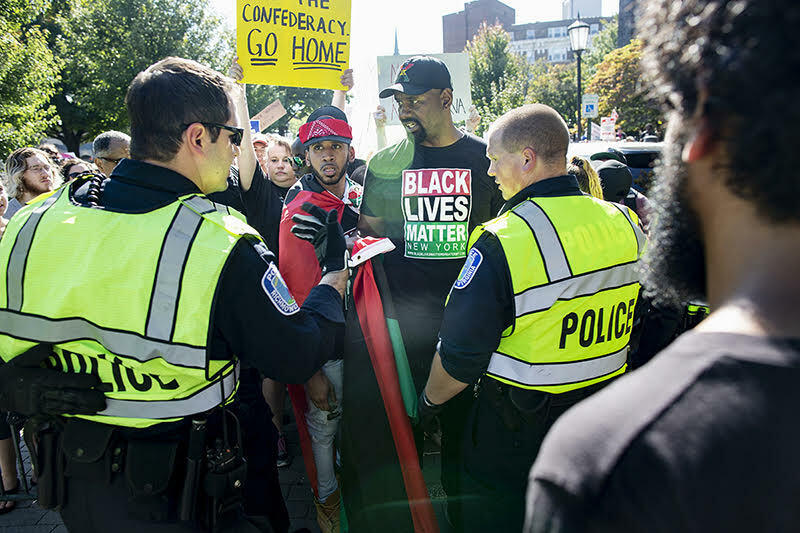 A protest in Richmond, Virginia, against neo-Confederate group the New CSA, which had gathered at the Robert E. Lee Statue on Monument Avenue. John Mitchell Jr., an African-American, was a journalist and a member of Richmond’s city council just after Reconstruction. Like his friend and colleague Ida B. Wells, Mitchell was born into slavery, and spent much of his career documenting lynchings and campaigning against them; also like Wells, he was personally threatened with lynching. The UDC, a women’s Confederate heritage group with thousands of members, is arguably the leading advocate for Confederate memorials, and it has a history of racist propagandizing. 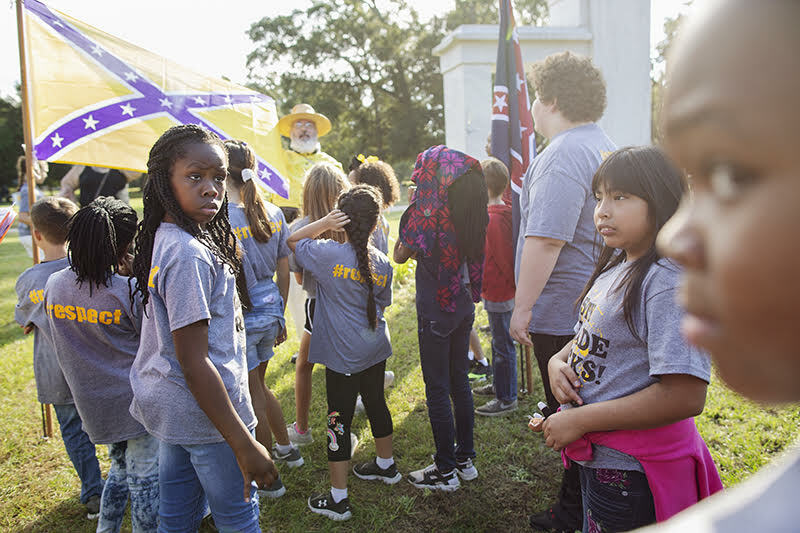 Local public school students listen to a presentation by a member of the Sons of Confederate Veterans, a Confederate memorial organization, about Confederate flags during Fall Muster 2018 at Beauvoir. Research assistance: Jasper Craven, Erin Hollaway Palmer, Richard Salame. A special report by Smithsonian and the Investigative Fund at the Nation Institute, now known as Type Investigations.